Icy: the cut glass crystalline precision yet far off distal feeling of the beginning of this track, the delicate mysterious entity vibe of it, belies what comes next. A grinding thumping mayhem erupts from its centuries old hiding place, bursts forth from the ice cavern, boulders toppling from the blocked entrance as the track marches out with the speed and intensity of techno, the dust storms raging in the wake of its unrelenting thudding kicks, a bed of crackling decayed overdriven noise spreading over the land. Nottingham-based producer Glacci ushers us into this uptempo driving beatscape with the sheer energy from those rounded kicks drawing us in and ever closer, letting it bounce into our hearts and through our veins. But 'Celadon Fire', itself evoking something almost contradictory – a fire the colour of celadon, a sort of pale green – whilst delivering gallons of this beat-centric seismic activity, does so with a keen sweetness, a bright bold neon-leaning glaze of gemstone synth, a breezy Fox's Glacier Fruit, iridescence and clarity ringing out against the ballast of the beat and its piledriving nature. There is darkness summoned in the brutalism of the beat, but this sheen on top, this lemon curd, this sugarwork of shining sound, the bundle of glacé cherries that Glacci places on top helps curb that darkness, brings it somewhere otherworldly and turns this into a beacon of a track, a flame in the darkness, the sparkling brilliance of discovery in its buoyant gravity. 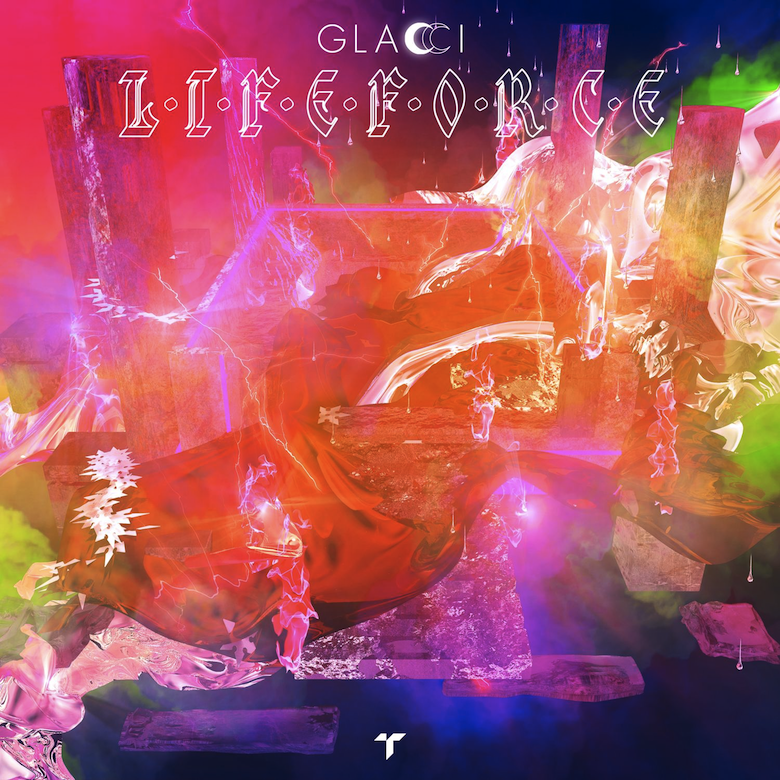 🔔 'Celadon Fire' is taken from Glacci's debut album Lifeforce, out via London label Terrorhythm on 31st July. You may pre-order from iTunes if you like.